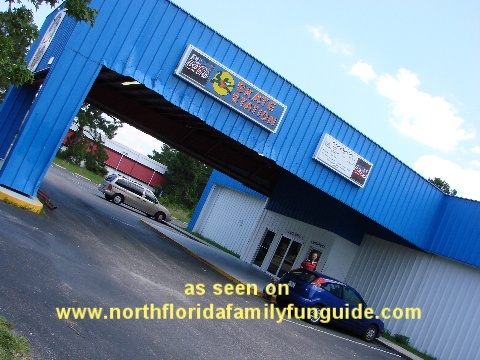 The Skate Station Funworks in Mandarin is an indoor rollerskating arena, but it also has an indoor jungle gym, an arcade, and an outdoor putt putt golf attraction! There is lots of fun to be had here, and the price is very reasonable! Check out their website for their weekly specials, for example Wednesday nights are family pizza nights, with all you can eat pizza included in the cost of admission! Bryan had so much fun, going from the rollerskating, to the jungle gym, then he went putt putt golfing. This is a great way to spend a family weekend afternoon!